Experience for a day…enjoy for a lifetime! 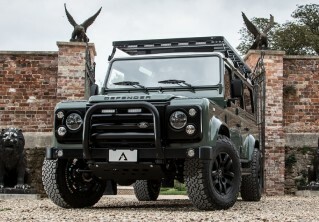 Last week we had the pleasure of welcoming one our clients, Mr Jorge Wagner, to Arkonik HQ for a personal tour and to help him narrow down the specification of his custom Defender. 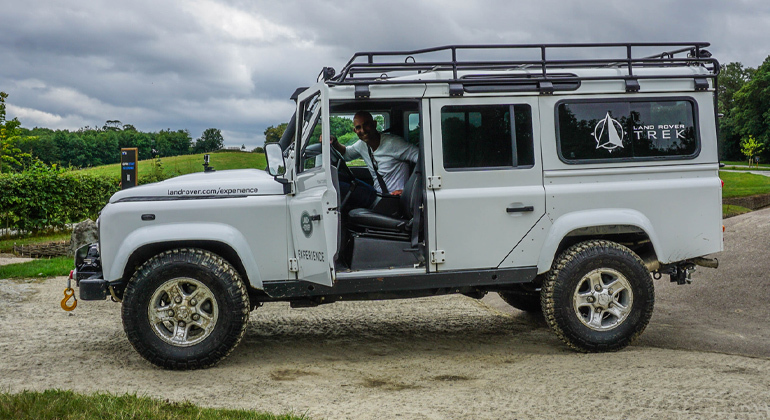 As part of Jorge’s Arkonik experience, he also enjoyed a personal off-road driving experience at Eastnor Castle in the stunning Malvern Hills. Today was really something else…getting a chance to drive and really feel what these vehicles can do. It exceeded my expectations. Eastnor is a special place for Land Rover; with 66 miles of terrain including steep inclines, articulation tracks, ruts and deep water, it is still the secret testing facility for all new models before release. Just like Jorge, you could spend either a half or full day with a dedicated instructor who will show you just what these vehicles are capable of. Jorge admitted that prior to his visit, he hadn’t intended to use his D110 for off-roading after he takes delivery in New York. However after his Experience Day, Jorge can’t wait to get on the trails upstate with his sons who he knows will “absolutely love it”. 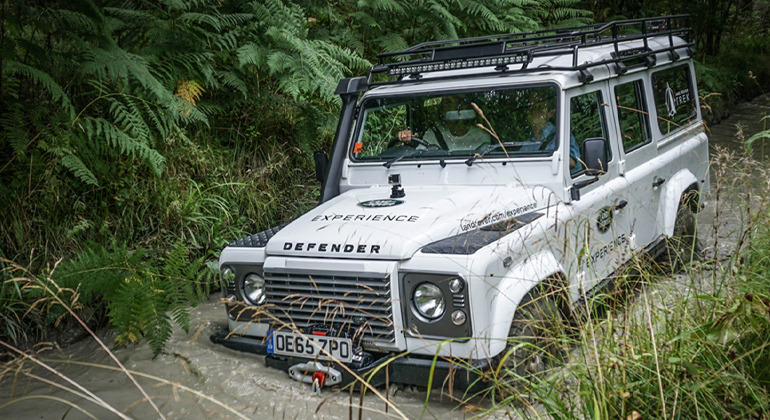 Having not driven with a stick shift for over 20 years, Jorge was apprehensive about this aspect of driving a Defender, however he tells us it all came back to him very quickly whilst driving confidently and safely around the trails. Was it helpful to look around Arkonik? Oh my goodness yes. Meeting the people and understanding how much they know about the vehicles, and learning about what ‘the Arkonik Difference’ is, really gives you an appreciation for the process. What are the main things you will take away from the trip? The attention to detail, a new appreciation for the process and really understanding the vehicle. 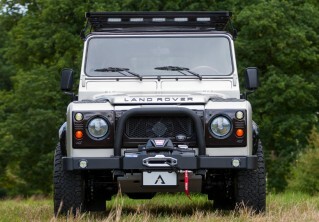 It just blew me away; you read about what Defenders are capable of and how different they are from the average vehicles but you don’t really get it until you experience it in person. What helped you make the decision to choose Arkonik to make your D110? The customer reviews and the information about the process. If you’re sending money overseas you do need to take a leap of faith, so the customer feedback definitely pushed me over the edge. The customer portal is also very helpful. It indicates transparency in terms of my ability to see what is happening daily with my build. Which existing Arkonik Editions really inspired you to build your own? My wife and I both wanted a classic look so KOOP in Fungus Green was our primary inspiration. We had a moment when we were looking at DUKE (Santorini Black) and MAGMA (Copper Black) because the black on black looked so cool, but then we said no, let’s think it through and we decided to stick with a classic Fungus green.